The morning of Saturday December 3rd 2016, I got up before sunrise with my kids. They ate some breakfast while I brewed up two travel mugs of Kickin Horse coffee. We packed the car for a day trip, and at 7am sharp my son and I pulled out of the driveway, excited to be on our way to Toronto for TPUG's 13th annual World of Commodore Expo, 2016. I have to admit, I wasn't sure what to expect. It had been 8 years since my last expo, World of Commodore 2008. My biggest fear is that I'd arrive and it would be a few nerdy dudes in a church basement. It felt a bit like that at the end of 2008. What could 8 more years do to a community of aging enthusiasts for a line of computers that officially ended when Commodore went out of business in 1994? After one pitstop for a pee and a breakfast sandwich, we were back on the road. The directions were a lot easier to follow than I remember. That's a good start. WoC had moved out of the church basement and into a hotel basement. But, hey, it's a step up. The hotel is right off the QEW. We went inside and found our way into the bustling downstairs conference room. It was nice. Really nice. Hotels have a way of providing a good ambience like a church hall doesn't. The lobby had nice furniture and comfortable couches. In the basement, the conference area was divided comfortably into three sections, an entrance area that also had couches, comfy chairs, some tables with lamps, and a hall way to some nice hotel washrooms. In this entrance room the sign in table was set up and manned, ready with name tags. As I signed us in, there were certainly some familiar faces walking around, but my biggest and most pleasant surprise were the number of people, and the number of people I'd never seen before. The din of chattering excited voices poured out of the main showroom, and mixed with the cacophone of techno, demo, SID and other music from a myriad of configured machines. My heart raced and I was filled with a joy I haven't felt in years. I was home. And I'd brought my son with me. The main showroom was a medium sized square room. Tables lined the walls, all the way around, and had been set up the night before. These were the demo tables. A C64c sat there running GEOS, followed by machines for playing games and showing other things. A gap in the tables early in the day was soon filled with some of the crazy-oldest computer hardware I've probably ever seen in my life. There was a teletype machine, and a huge beast that read (or printed, I'm not sure) punch-tape material. Leif Bloomquist, a senior software systems engineer who worked on the Canadarm, Commodore enthusiast and all around nice guy, had two machines set up. With them he had a number of really cool looking hardware I'd never seen before. The latest IDE64 with a custom 3D-printed case, a funky wifi-enabled joystick port adapter, a SwinSID modern SID chip replacement, an EASY-Flash rom cartridge from Retro Innovations, and Leif's own WiFi Modem which he had several of available for purchase. On the other machine there was an expansion port breakout board popping out the back and connected to a breadboard with a tonne of wires leading to a three foot high professionally printed LED board labelled, C64 Visual Memory Map. I'll talk about these later when I get to the presentations. But one other gem that caught my eye was the C64c cases on his machines. One was made of transparent plastic and the other a pleasing shade of bright red. They reminded me of the new cases due to be available any day now from Jens Schönfeld and partner's Run Magazine in Germany. This was actually the first C64OS.com post I ever made. I got the low-down on how these new cases came to be. Apparently a guy in Texas was rummaging through some old things and came across the original injection molds that Commodore used for the C64c cases. He recognized them for what they are, acquired them for a pretty chunk of change, and put them to use producing a few rounds of new cases. These were available in a number of brilliant new colours, including the red ones like Leif's. But, at the community's request he also made some transparent ones. The molds were then purchased by Jens Schönfeld, and they are now in the process of producing new professional looking cases with a variety of classic colours. I can't wait! They look so great! It was nice to see the first versions of these new cases, in the flesh, at World of Commodore. Around the corner was a PAL demo station. A couple of C64c's bedecked a beautifully crisp SONY display, flanked with some Harmon Kardon sound sticks and a subwoofer sitting on the floor. The guy running it was John Hammarberg, also known as CRT. He's a Swedish/Canadian demo coder from the group, Censor Design. He was showing off all sorts of cool Euro demos. One of which is the highly impressive Wonderland XIII, released just this past October at the X'2016 party in the Netherlands. As hip-hop dancers animated across the screen deep and bass-y digital music pumped out of the speakers. Smack my b!tch up by Prodigy. I stared at the machine, and there was a laptop sitting around the corner almost out of view. I asked, skeptically, so, what's producing the music? I was expecting the answer to be that the demo was some on-screen animations that were somehow synchronized with the PC laptop's music. Instead, I was totally blown away to discover that that quality of music was being produced by an original SID. I was totally floored. Apparently, and according to CRT, the demo scene has made some new discoveries about ways to get much better digital output from the SID than the traditional 4-bit way. After a handful of Amigas running videos and showing off various accelerators—which by the way, my son found to be the most interesting. Apparently cartoons are more interesting to a 4 year old than anything a C64 can do—next came the table where Jim Brain was set up. He had on display all the great new hardware he's been working on and a few dazzling new teasers. Brain is literally the brains behind Retro Innovations. He probably builds the most technically sophisticated new hardware in the world for Commodore 8-bit computers. He is in every way the spiritual heir to Creative Micro Designs. I had a few very productive conversations with him and learned a number of nuggets. For one, it isn't a coincidence that the uIEC/SD1 feels a lot like using a CMD HD. He bent over backwards, and went through the CMD HD user/technical manual with a fine-toothed comb, and made certain that the uIEC/SD DOS is not just similar but as identical as possible to the CMD HD. He's a true patriot,2 and the Commodore community owes him a debt of gratitude. So please, get out your wallets and order yourselves some great new Commodore hardware. Around the corner were more Amigas, and then a Commoodore PET that had been modified to have a colour display. Then a raffle table with a variety of classic parts. Then a table with some give-aways, and an open top original SuperPET (with a sign saying that it was NOT on the free table). The middle of the room was for vendors. JP-PBM had all of his books, disks, cables, drives, monitors, and more set up and ready for sale. There were t-shirts, and educational software, more books, and another demo station setup on middle tables too. A guy had a modded C128 hooked up to some pretty rad KORG synthesizer and was showing off his Midi workflow. It was good. The best part of the showroom floor was how excited everyone was. There were so many new people walking around, asking questions about how to get ahold of the new hardware, how to build a rig for themselves and curious about how everything works. Attached to the side of the showroom was a another similarly sized room used for presentations. It was filled with rows of chairs, some tables at the front for the demo machines and a video projector. The presenters had a microphone to help them be heard. I didn't attend all of the presentations. The Amiga graphics demo, while neat, didn't hold much interest for me. I am firmly in the 8-bit camp. The first presentation was by Syd Bolton, a guy who runs a classic computer museum out of his house. He had a number of machines that he'd brought with him to aid in his discussion. It was a light-hearted and comedic talk about how Commodore is the best. He stirred the nostalgia pot and brought lots of laughs. Leif Bloomquist and Steve Gray then showed off the C64 Visual Memory Map. The breakout board plugged into the expansion port effectively puts all the lines of the 6510 CPU into a row of pins specifically spaced to plug downwards into the top of a prototyping breadboard. This opens the door for all kinds of interesting experimental opportunities. What they did was wire the most significant 6 bits of the 16-bit address bus to a decoder. Each decoded value leads to an LED on the vertically oriented board. Up the left side of the board are 64 LEDs, all the memory addresses in 1024 byte blocks from $0000 $FFFF. Up the right hand side the regions of memory are labelled: Zero page, Screen, BASIC ram, BASIC rom, Hi Mem, VIC, SID, Color ram, CIA and KERNAL rom. As the computer reads and writes from those addresses, the LEDs come alive. Watching the boot up sequence testing memory was pretty cool. And seeing the memory get filled up bit by bit as data loaded from disk into memory was also cool. All in all, it was neat. Next John Hammarberg, aka CRT, showed off how he made an updated spinning Globe demo. It was originally written by someone at Commodore to demo some of the capabilities of the then new REU. REUs, ram expansion units, have become a popular additional piece of hardware for demo coders to explore and take advantage of. They offer, besides the advantage of more ram, a few interesting tricks such as the ability to move large chunks of memory quickly, much more quickly than using the CPU only. This opens the door for some very interesting smooth fullscreen animations. And this is exactly what CRT pulled off. His talk consisted a lot of how he mapped all the graphics from a flat world map onto a sphere, while his demo machine spent a considerable 8 minutes pre-processing the image data. When it was ready to go, though, the result was a very impressive. A smoothly rotating high res image of the world. The special guest presenter of the day was Bil Herd. I can't do his talk justice by trying to repeat any of it here. But I will say that it was a surreal experience to shake the hand of the man who designed the Commodore 128. I sit in my basement, typing away on my C128, night after night. I code for it and learn about it, and consider it a great teaching and learning aid about digital electronics and computer programming more broadly. And yet, here is the man who designed the whole thing, standing in front of me, in the flesh. His talk was interesting. No, it was better than that, it was fascinating. I knew before I came to not be so naïve as to believe that his perspective would be anything like our perspective. So I was prepared. For us, the C64 and the C128 right along with it, are beloved machines. Some of our most prized possessions. Pieces of hardware with which we have spent literally years to decades of our lives. Bil Herd's perspective on these machines is different. He sees Commodore as a tragedy in three parts as he put it. It was immensely sad for him to see it all fall apart in the early 90s, largely through mismanagement and missed opportunities. But life goes on. Now we have MacBooks, iPhones and Apple Watches, among other PC hardware if that's what floats your boat. I got the impression that it was all a bit of a mystery to him why some of us today still care so deeply about his past work. His stories were funny, sad, happy, nostalgic, and informative all rolled into an hour and 45 minutes of sprawling slides and raw dialog. In short, it was amazing. It gave me new thoughts to think about computer history in general. In the 70s there were minicomputers. They were super powerful, with 32-bit address buses and megabytes of ram with complex multi-user, preemptively multi-tasking, UNIX operating systems. The only problem was that they didn't have a CPU as we think of them today. Their ability to process information was spread across thousands of logic chips, many of them built of the 74xx TTL family of chips. No wonder they were so big and cost so much to build. The late 70s saw the beginning of home computers because the technology finally existed to be able to integrate thousands of gates onto a single chip. And thus was born the microcomputer, on the back of these new microprocessors. The situation though was this: Even though it was then possible to put an entire processor onto one chip, and the price was thus affordable to home users, these early microprocessors, like the 6502, were so underpowered compared to the processing abilities of a minicomputer that they were looked upon as toys. The future of computational ability was already written in the past. Everyone knew that 8-bit CPUs were a mere stage when microprocessor technology was young. What could be accomplished with 16-bit, 32-bit and 64-bit CPUs was already known, it was just a waiting game before microprocessor technology could advance sufficiently to allow enough gates and small enough components to fit minicomputer-level sophistication and beyond into a microprocessor. When the C64 came out, in 1982, it already came packaged with more stuff than could be addressed all at the same time by its 8-bit CPU. The writing was long already on the wall. 8-bit had no long term future. It was just the first step, the foot in the door of computers for home users. But Bil Herd made that theory a hard reality. If the C64 was already pushing beyond the limitations of the 8-bit CPU and its 16-bit address bus, then what the heck was the C128? When Bil and others were working on the C128, pressed for time trying to meet the deadline of the CES show and getting the machine under the Christmas tree, they already knew that the Amiga was under development and on its way. The Amiga would use a 16-bit CPU as the revolution in microprocessors was well on the path to supplanting mainframes and minicomputers. In a breath, the C128 was already obsolete by the time they were designing it. Some of the chips that went into it were chosen simply because Commodore, and its subsidiary MOS, happened to have surplus on hand. They were not expecting this to be a machine that lasted or that was produced in substantial quantities. But that's not quite how it turned out. And heck, maybe how things really turned out is part of what led to Commodore's downfall. 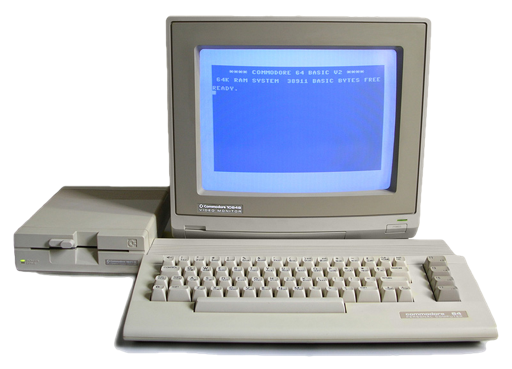 Bil had already left the company, but the C128 went on to sell around 5.7 million units. Then they went on to make the C128D, considered by many to be the finest 8-bit computer ever to grace the earth. It had it all, it had more than it all. It was my personal favourite and I loved it and I used it in earnest all the way to university in the year 2000. But, that's not how he sees these machines. To Bil Herd, it's a miracle they still work, considering the choices they made, and the poor quality and unreliability of some of the most important chips that went into them. It is indeed a matter of perspective. I'm glad to be in love with my C128 again, for what it can do and for what it can be for us today. Despite the fact we all use newer and faster machines for our work and other day to day activities. It was a true honour and a privilege to meet the man who put it together and who gave us so much. And seeing him chat about modern projects with Jim Brain was positively tingling. In the afternoon there were two more presentations that I attended. And I don't mean to have Bil Herd's talk overshadow these others. Because, they too were cool. The first was a presentation of the SwinSID Ultimate. It is a commercially available SID chip replacement. It costs 35 euros, shipping included. The SID chip is the heart of the C64's amazing audio and contributed greatly to its success. However, they were easily damaged by electrostatic discharge. They are hard to get ahold of today and are no longer produced. If you've ever had a C64 where the SID goes bad, it's bad news. The SwinSID aims to solve that problem. It is for all intents and purposes a SID chip. But it accomplishes being a SID by a lot of sophisticated emulation work inside a tiny board that plugs into the SID socket on your C64 or C128 motherboard. Because it has a much fancier implementation it can do a handful of new things. It has some control registers, which Leif wrote a configuration program to help you set and view, that allow you to configure it. It can be toggled between 6581 and 8580 mode, you can selectively mute its voices. It revives a "bug" in the 6581 that was exploited in the production of digital sound but that was "fixed" in the 8580. It also has some blinky lights that look cool underneath one of the cool new transparent C64c cases. And, because it's a modern implementation it can have its firmware updated with new improvements to come. One other point to mention, it supposedly also supports the pots for mouse and paddle support, but we didn't have time to test that at the show. Otherwise, well, it sounds like a SID! I'll probably buy a couple for the machines I have with dead SIDs. And when I do, I'll likely write a more indepth review about it. The last presentation was about something that at first seemed kind of zany. But, in the end turned out to be pretty rad. It's called the UniJoysticle. So named because it lets a real Unicycle control a unicycling game for the C64. Crazy, right? Who the heck rides a unicycle anyway? Well, not so crazy. A unicycle serves as the controller only by duct taping an iPhone to the bottom of a unicycle peddle. The rest of it is totally amazing. It is a small board which plugs into the side of your C64, plugging into both joystick ports. On the board is a small WiFi chipset. The board has to be powered, and has a port for a wall wart, or a USB port for power if that's more convenient. You then use your iPhone to connect via WiFi to the port adapter's hotspot. Then you run a joystick app on the iPhone and it allows the phone to operate as a wireless joystick for your C64. It supports two connected iPhones for two player games. All joystick games and programs are supported, because they have no idea you're not using a real joystick. It was nice. It's got potential. I'd love to see some support for using an iPhone or other device as perhaps a trackpad that is 1351 mouse compatible. Something to look into. World of Commodore '16 is the first WoC that was extended to a two day event. Unfortunately I was only able to attend the first day. On the Sunday, I had prior commitments to a family Christmas gathering. After the Saturday show wrapped up, we all headed over to the nearby Swiss Chalet. Many of us gathered into a side room to sit around a giant table. And a second group sat just outside that room around several tables grouped together. We had an opportunity to chat and talk about all things Commodore with those sitting around us. I had a chance to talk to CRT about REUs and REU demo techniques. And with Eric Kudzin, an old friend, about how to degauss my 1084 monitor to get rid of that strange purple discolouration. And around 9pm, my son and I bid farewell, got back in the car with a 1084s monitor I purchased and a couple of books in the trunk, and headed home. I will definitely be coming back next year. And I hope to make some of the American Expos next year too. The official head count was just over 150 people in attendance. Not bad. One little side note. There was a small contingent of Esperantists at the show too. Between Ken Price, Tiffany Antopolski, my son and me, four Esperantists feels like a crowd. We had a fun time chatting each other up and impressing the other nerdy folk with our elite skills. Tiffany even did a little video interview with Gabriel in Esperanto to put on her blog. Good times.